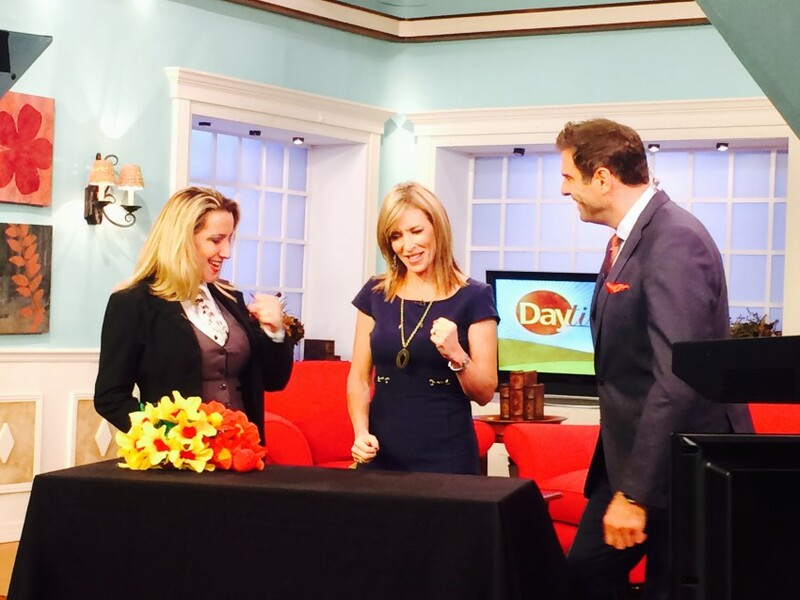 Magic Suzy performing on National Television! Magic Suzy has sponge balls for eyes! The #1 Kids Birthday Party Magician in Tampa and Saint Petersburg Florida! Imagine your kids laughing and amazed by a female magician with a GIANT magic wand, a Harry Potter inspired magic wizard's hat (that they get to keep), a "fantasy magician" routine where your child gets dressed up like a real magician (in top hat and tuxedo) and does real magic (awesome photo opportunity!) and lots of silly, physical comedy... that's The Magic Suzy Show! Don't risk hiring a part-timer! Magic Suzy is a mother of two herself and has been a professional kid's magician since 2005. She's performed at hundreds of parties just like yours. No stress, no worries, just lots of fun, laughter, and amazement! We had booked Suzy for 3 kids having a birthday party at the Sheriff's Youth Ranch in Safety Harbor. She did a fantastic job. There were 20 kids in attendance, ages ranging from 5 years to 17 years of age. She had all the kids attention through out the 40 minutes she was doing her magic. She did tricks which even had the parents scratching their heads. Suzy's magic is for all ages. I would highly recommend her for parties and any other events you would require professional entertainment. Magic Suzy is a wonderful kids' magician. She is so personable, professional and worked well with the kids at our party. Thank you so much Magic Suzy! We scheduled Suzy for my son's 6th birthday party and it was more than we could have asked for. She was able to keep the kids attention (13 of them!) and even had the adults laughing. I was very pleased and had several parents ask about her rates because they were interested in contacting her for some of their future parties. Anyway, just know that she's really funny (in a goofy, silly kind of way) and her magic act is a real show not just a bunch of little kid's tricks. This is a show that would be as great for a community event or school fundraiser as for a birthday party. We will definitely use her again. Highly recommended. 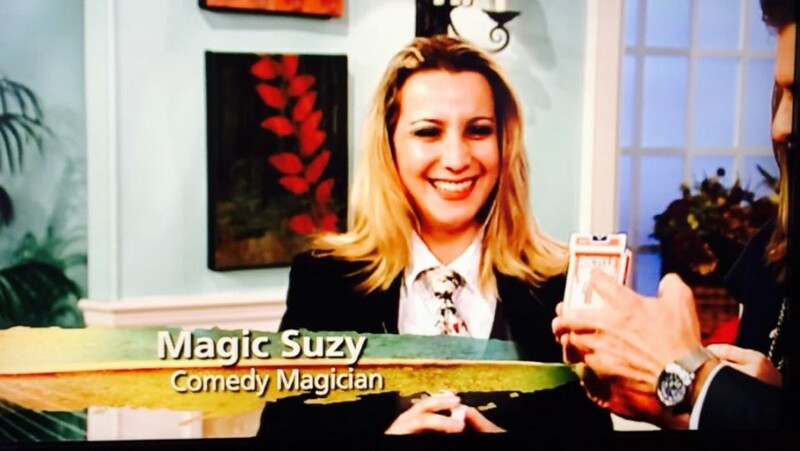 Hi, I'm Magic Suzy, the #1 Comedy Kid's Magician in Saint Petersburg / Tampa Florida! Imagine your kids laughing and amazed by a female magician with a GIANT magic wand, a Harry Potter inspired magic wizard's hat (that they get to keep), a "fantasy magician" routine where the celebrant gets dressed up like a real magician (in top hat and tuxedo) and does real magic (awesome photo opportunity!) and lots of silly, physical comedy... that's The Magic Suzy Show! As a mother myself, I know how important it is to have your party be a memorable experience for kids and adults alike and go off without worries or problems. You can count on me to deliver top-notch, hilarious magical entertainment that everyone will remember. I've been a professional kid's magician for the past 10 years, first in Los Angeles and then aboard Princess Cruises all over the world. With experience like that, I can help make your little one's special day more fun than you've ever imagined! Magic Suzy has been a professional kid's magician for the past 10 years, first in Los Angeles, then on Princess Cruises, and now in Saint Petersburg / Tampa Florida. With experience like that, Magic Suzy can help make your little one's special day more fun than you've ever imagined!